In response to the financial crisis of 2008 and the resulting economic downturn, the major central banks of the world responded by lowering interest rates dramatically. At the time it was determined that this would be the way to restore confidence in the markets and to keep enough liquidity in the economy. It would also prevent a massive wave of bankruptcies and foreclosures. 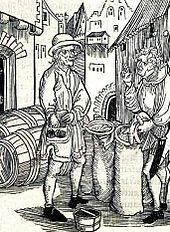 It was hoped that in time, investors would feel reassured enough to return to the marketplace. Since that time many central banks have attempted to raise interest rates from historic lows. In the end they all had to reverse policy, as economic conditions worsened and markets plummeted. Higher rates have also become a problem for a number of nations, that are saddled with almost unmanageable debt. A jump in rates corresponds with higher payments needed in order to service sovereign debt. Sweden for example, began to increase rates in 2010, out of concern that it a bubble was being created in the housing market. The Riksbank hiked the main rate a total of 1.75 basis points between the summer of 2010 and the summer of 2011, from the unaccustomed low of 0.25%. The new rate of 2% did reduce inflation, but it also increased unemployment which was already at an exceptionally high level. By the end of that year it had already started cutting rates again, in response to the decline in European growth as a result of the continent wide debt crisis. Although much of the ongoing attention in Europe has been focused on the financial collapse of Greece, the nations of Ireland, Portugal, Spain and recently Italy, have all dealt with crises with a hangover of debt caused by government largess. Sweden had little choice as half of the country’s GDP (Gross Domestic Product) is dependent on exports. Most of these products end up going to other nations in Europe. Neighboring Norway had already cut its benchmark the previous week, along with the ECB (European Central Bank). Sweden made several other attempts since then to raise rates, but always had to subsequently retreat. In fact Sweden today, is among a number of nations that has negative interest rates (-0.35%). It actually charges banks that leave money on deposit at the central bank. Switzerland is a leader in this practice. 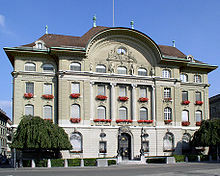 In order to prevent further appreciation of the Swiss franc against the Euro, interest rates have been slashed to -0.75% this year. A further strengthening of the franc, would of made Swiss exports prohibitively expensive. This was a way to combat the problem. Israel was among the first to raise interest rates, once the global economic recovery began in 2009. A housing boom was soon overheating the domestic economy. 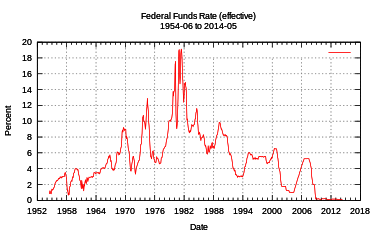 Beginning in September of that year, the central bank pushed the main rate from 0.05% all the way up to 3.25%, by May of 2011. An economic slow down in Europe the main export market for Israeli goods, forced a reversal in the monetary policy of the bank. Rates are now at a mere 0.10%. The ECB had begun to increase rates in 2011, in response to a rapid rise in the price of commodities on a global level. There was a concern among the bankers that inflation would take hold over the European economy at large. In April of 2011, the rate of increase went from 1% to 1.25%. It was the first hike since 2008. Another adjustment came in July raising the benchmark to 1.5%. In 2012 and in 2013, the ECB would change direction and would start lowering rates sharply, reaching 0.25% by November of 2013. Inflation was no longer a concern among analysts. Economic growth had now become the main objective among policy makers. Another cut soon reduced the interest rate to 0.15%. In September of 2014, the central bank initiated an additional reduction, this time all the way down to 0.05%. It was now at the lowest level on record. It has been kept at this rate ever since. Australia which had increased interest rates after global growth had returned in 2009, was also reducing them beginning in November of 2011. A 0.25% reduction brought the rate down to 4.5%. Less than a year later and the benchmark had been reduced to 3.25%. By the beginning of 2015, Australia was facing a worldwide collapse in commodity prices and a rapidly cooling economy in China, which is the largest export market for Australian goods (29% of the total). As a major supplier of metals, coal and iron ore to Chinese industry, the Australian economy was soon under great stress. The central bank responded by reducing the main interest rate to 2.25%, an all time low. Another cut would come in May leaving the present rate at 2.00%, quite high in comparison to other developed nations. The average rate has been 5.04% from 1990 to 2015. The stagnating economy of Japan was another concern for Australian exporters. Japan is the second largest market for Australia, at 20% of the total amount. South Korea is a distant third at 8.4% and India just 5.3%. 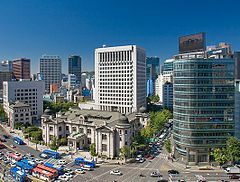 The South Korean economy is largely dependent on exports. As trading partners started cutting rates in 2013, the country was forced to follow suit to remain competitive. It totally reversed the increases that had taken place after the low reached in 2011. The rate would be reduced to 2.5% in May of 2013. It would not be the last reduction. The current rate is now 1.5% and could go lower as the Chinese economy cools even further. Chile had an interest rate set at 3.25% in 2010. This was increased to 5.25% the following year, in response to the rapid run up in commodity prices of which Chile benefited from enormously. A total of 28.2% of all Chilean exports, originate from copper alone. Other ores take up an additional 26.2% of the export market. In 2012, rates would be reduced slightly to 5.00%, with another drop in 2013 down to 4.50%. As the collapse in commodity prices arrived in 2014, the central bank would push the rate even lower to 3.00%, where it has remained. The situation in Chile was mirrored by many other commodity dependent nations in Latin America. The Canadian economy has been quite dependent on the export of commodities, particularly oil and natural gas. The government made a major effort in developing the shale oil resource in the western part of the country, primarily located in the province of Alberta. As the global price of oil and natural gas headed south in 2014, Canada was soon facing the problem of a rapidly declining export sector in energy resources. This part of the Canadian economy contributes nearly 20% to the national GDP. Canada had attempted to raised rates further in 2011 from 3.00%, in response to higher commodity prices and a rapidly expanded housing market. Unemployment had been reduced substantially, from the much higher rates that had existed just a few years before. In 2009, the benchmark interest rate had been reduced to 0.25%, a record low. However, the decision by the United States to keep interest rates at historic lows, made a major move by the Central Bank of Canada impossible. The Canadian market is too closely tied to the American economy. If Canada would of raised interest rates at that time, it would of driven up the value of the Canadian dollar, making exports much less competitive. As a result rates were driven down to 1% by 2014, to just 0.5% in July of this year. Now that it has been announced that the Canadian economy has been in recession for the first two quarters of 2015, any thoughts of a rate increase is out of the question. It is important to note, that interest rates averaged 5.98% from 1990 to 2015. 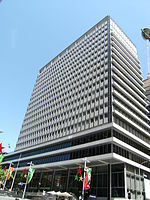 As a rapidly developing nation, China was able to keep interest rates much higher, throughout the difficult years following the 2008 and 2009 financial crisis. Now as the economy is no longer growing at double digit rates and may even dip below the 7% target rate of the government, officials have resorted to cutting interest rates as well. The benchmark has been reduced to 4.6% recently by the central bank. The first cut in over 2 years had been done in November of 2014, when the rate had been reduced to 5.6%. The Chinese unlike many other nations, still has room for further rate reductions. The only three major developed countries in the world where interest rates are at a substantial higher rate, are Brazil, Russia and South Africa at 14.25%,11.0% and 6.00% respectively. These nations are collectively attempting to combat inflation, that is rapidly gaining further traction in their domestic economies. The only other three nations with a much higher rate of interest are the emerging markets of India at 7.25%, Indonesia at 7.5% and Turkey also at 7.5%. Here again, much higher rates of inflation are an issue that central banking officials are attempting to contend with. The only two major countries that have not attempted to raise interest rates since the financial crisis that began in 2008, are the United Kingdom and the United States. Both nations have experienced higher rates of growth than other Western countries and may indeed be ready, for some small increases in benchmark interest rates. However, it will be hard to justify in economies that lack any real wage growth and little inflation. Many analysts reason that it is unwise to even take the risk, as it could well derail the present slow rate of economic growth. 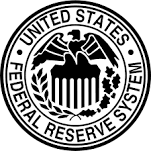 The United States has not increased interest rates since December of 2008, when the Federal Reserve Bank (Fed) dropped the benchmark from 1% to 0.25%. 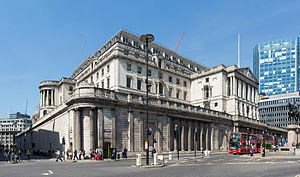 The British have not changed rates since March of 2009, when rates were dropped from 1% to 0.50%. Central bank officials in both countries have toyed with the idea of raising rates for most of 2015. Some suggest it should be done for no other reason than if a recession finally arrives, it will permit a rate cut. The argument is if rates are not raised now, how can they be cut later? A near zero to zero level, or possibly a negative rate of interest, is worrisome to many financial and economic experts. In June the Fed announced plans to raise interest rates to 1.625% by the end of 2016 and 2.875% by the end of 2017. Investors were thinking more like 1% by the end of next year and 1.5% in the year after. Neither is very likely. Global growth is continuing to slow and the world financial markets are becoming increasingly volatile. A present correction in the American Stock Market which is a downturn of at least 10%, can easily turn into a bear market with a 20% drop or more in overall share prices. Once the markets begin their contraction, the likelihood of a recession grows. As jobs losses mount and more businesses face bankruptcy it would be nonsensical to raise rates in such an environment. It would make the economic downturn far worse and could lead to a round of deflation, that would be hard to reverse. This is the dilemma that the Fed, the Bank of England and other central banks of the world face. If rates are increased at all at this time, there is a strong likelihood that they would soon need to be reduced once again, as an ever greater number of countries slip into recession. The coming economic world downturn for many, seems to be on the horizon as early as 2016 and could extend well into 2017.